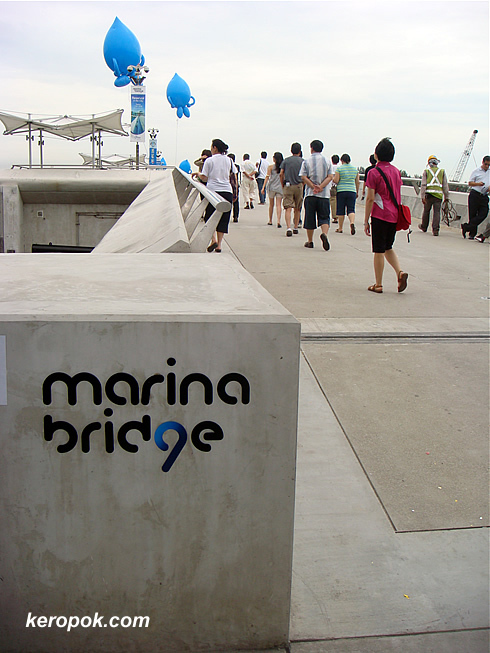 The tour of the Marina Barrage. This free tour starts at the Marina Bridge. On the right of the bridge, is the sea water which is so clean. On the left of the bridge, the water is dirty and dark. A mixture of fresh and sea water, need a few more years before the water is slowly filled with fresh water.